When we talk about 'illuminated signs', many people still think we mean ‘neon’. While neon signs still have their place, more often than not in today’s signage world, neon has been replaced by LED. 3D Illuminated Letters have become a popular illuminated signage solution. Get the look of a neon sign, with the benefits of LED's cost-effectiveness, low power consumption, brightness, and reliability. Achieve different lighting features with halo effects, side or edge lighting, back lighting, front lighting, and even variable colours and materials. The text or logo is fabricated from aluminium or acrylic materials. The letters can be fully illuminated (front and sides), they can be front lit, side lit (opaque faces) or space mounted and back lit. Alternatively, the illumination can be embedded in solid acrylic letters giving an overall glow. Your creativity is the only limit to what can be achieved with custom illuminated letters. Depending on the finish and colour required, we can produce your illuminated signage from a variety of durable, high quality materials and techniques. They can be finished as polished mirror, brushed steel, powder coated, aluminium, brass, or painted. The most commonly used material in Australia is acrylic, which can be internally illuminated with LED lighting and can produce any effect desired. Just as common now is the usage of aluminium letters that offer a high-end brushed finish and can similarly be internally illuminated to provide a front or back-lit effect. Your Signarama consultant will advise on the best solution for your branding needs. All our LED signs are created according to your specific environment requirements, and can be expected to last long term, even in the harsh Australian environment. What effects can be achieved? Our graphic designers are qualified and experienced in creating the highest possible impact to meet your brief and requirements. 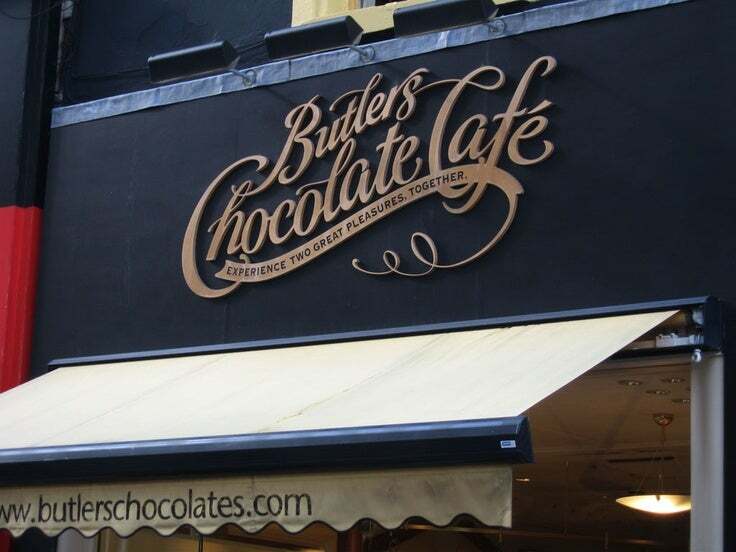 We can produce signage with effects on your logo or lettering like the Halo Effect (the bright glow around the sides of the signage to create a ‘halo’ look), front illumination only, or side illumination only. We have sample boards made up to demonstrate these different effects. How do I know which feature lighting and effects to use? Confused? Don’t worry – simply give us a call or visit your local Signarama sign centre. We are always happy to explain and discuss your feature lighting choices and requirements. The font or typeface refers to the letters or characters that make up the words on the sign. It’s important to remember that not all fonts are appropriate for signage. Choose a font that is legible and best reflects your brand. Your Signarama consultant will help you consider factors such as visibility, readability, noticeability and legibility when choosing the best font.